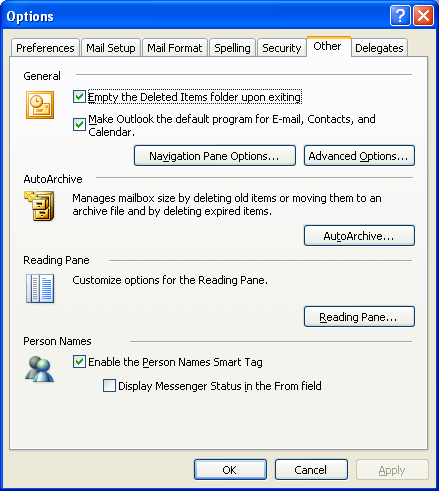 Restarting Outlook doesn’t help, nor does rebooting your machine; you’ve fallen victim to a corrupted forms cache. But don’t fret, there’s a straightforward, if not entirely intuitive, way of clearing the cache. Standard disclaimer: YYMV, this worked for me, using Outlook 2003 on XP Professional Service Pack 2, it might work for you, it might not. From the Tools menu, select Options and click on the Other tab. 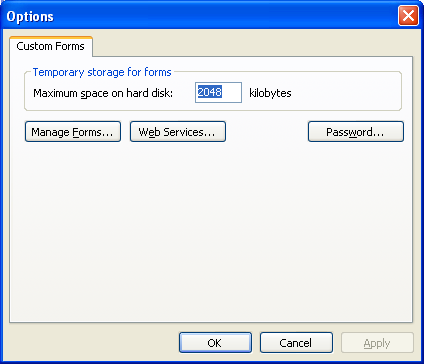 Click on Advanced Options, which is in the General section of the dialog. Now click on Custom Forms. Keep going, we’re getting somewhere with all of this so click on Manage Forms. And finally, click on Clear Cache. 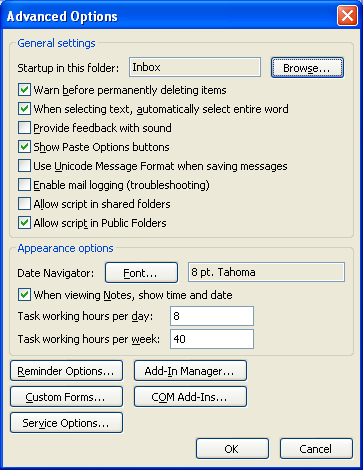 There’s no visual feedback, no indication that Outlook has done anything at all. 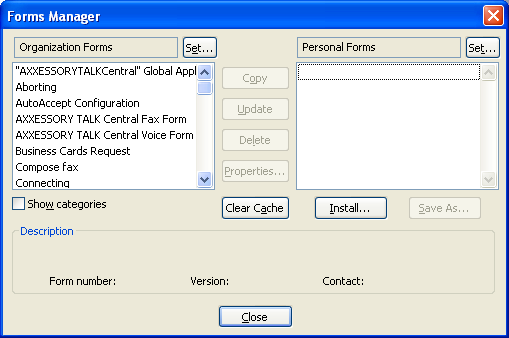 Click on Close, OK, OK and OK to close all of the dialogs. Now if you now try to reopen your original meeting request you might glance a dialog flashing on your monitor which informed you that the form was being reloaded, but then again, you might have blinked and missed it. But either way, all should be well again.